Kevin McCarthy was mostly a B-movie lead actor, with frequent forays into big-budget films as a neighborly character actor. He also worked extensively on stage, on radio, and on television. He was orphaned at the age of four when the 1918 flu epidemic killed his parents. McCarthy and his sister were then raised by both sets of grandparents, in two separate households. In college he studied journalism but joined the drama club, and never worked as a reporter. He first appeared on Broadway with a small role in the original 1938 run of Young Abe Lincoln. He served in the Army Air Corps during World War II, and appeared in the stage propaganda piece Winged Victory, both in its Broadway run and in the subsequent film. In his most famous role, McCarthy played the small town doctor who suspects a new disease but discovers something far worse, in the first film adaptation of Jack Finney's cautionary tale against conformity, Invasion of the Body Snatchers. As originally scripted, the film was to end with McCarthy screaming into the camera, warning the audience, "They're here already! You're next, you're next!" but the studio feared the audience would be repulsed. Even with the film's ending rewritten and a subsequent scene added to make it seem more optimistic, it is still terrifying. And with only a $15,000 budget for special effects, much of what made the movie so scary was in McCarthy's easygoing everyman-gone-panicked performance. In the 1978 remake of Invasion of the Body Snatchers -- almost as chilling, with Donald Sutherland and Leonard Nimoy -- McCarthy had a tiny cameo as a man running, screaming, down the street, basically reprising his role from the first film. He also had memorable cameos in Twilight Zone: The Movie and the homage to low-budget horror, Matinee, with John Goodman. Among his many other roles, he played Biff Loman, the disillusioned elder son, in the first film of Arthur Miller's Death of a Salesman (1951), and was nominated for an Oscar. In Cornell Woolrich's Nightmare, McCarthy played a clarinetist who dreams he is a killer. In The Misfits, he played the husband Marilyn Monroe couldn't wait to divorce. He was a capitalist in Hotel, and in Kansas City Bomber, he played the owner of the roller derby team Raquel Welch played for. In Buffalo Bill and the Indians, he played Paul Newman's press agent. McCarthy frequently returned to the Broadway stage, including the original productions of Advise and Consent with Ed Begley, Sr. and Cactus Flower with Brenda Vaccaro. Both plays were made into major motion pictures, without McCarthy. He also starred in a touring one-man play, Give 'Em Hell, Harry, as Harry S. Truman. 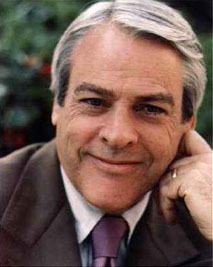 In the mid-1970s, McCarthy frequently worked on CBS Mystery Theater, performing in radio plays of everything from Sherlock Holmes to A Connecticut Yankee in King Arthur's Court. The programs still air in reruns, in some cities. He was a regular or semi-regular in several TV series in the 1970s, 80s, and 90s, including The Survivors, Flamingo Road, and Amanda's, The Colbys, and Charlie Hoover. McCarthy was a working actor well into his 90s, and died in 2010. His sister was noted novelist and critic Mary McCarthy, and he was a distant cousin of Sen. Eugene McCarthy (D-Minnesota).